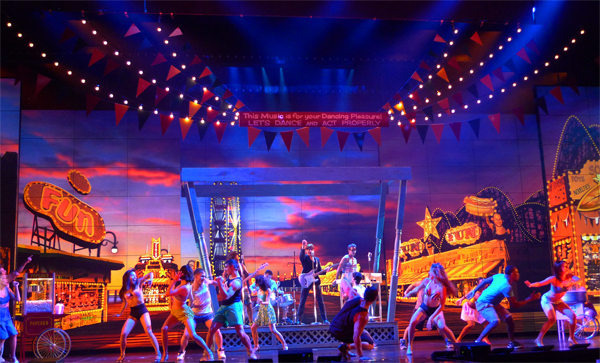 In Las Vegas, many Broadway shows and musicals bring a unique “Sin City” experience. They are quite entertaining despite the fact that only a few momentous Broadway productions take place in Las Vegas. At the moment, there are seven musical shows in Las Vegas. If you’re headed to Vegas, continue reading to find out what to see on stage and find links for discounted tickets then prepare to get your gamble on with detailed casino reviews at casinoguides.ca. This show takes place at the Saxe Theater at Planet Hollywood. This thrilling Vegas musical will take you through Las Vegas’ entertainment history with entertaining songs, dances, and a beautiful stage. More than 40 artists use the stage and play songs from legendary entertainers like Elvis, Rat Pack, and Tony Bennett. This show is not about praising or impersonating artists. It’s all about powerful performances that promote Vegas entertainment. All people can enjoy the show every day of the week. There are 2 nightly performances at 19:00 and 20:00. Click here to grab your discount tickets. This musical takes place at 19:30 on Mondays and 18:30 from Tuesday to Sunday at Harrah’s Hotel. It’s a funny way to celebrate women who are experiencing the changes caused by menopause. The show is based on the story of four women who are experiencing the symptoms of menopause. It encourages women who are going through menopause to realize that other women are having the same experiences. The minimum age limit is 18 and the musical is suitable for women above 45 and their husbands! Click here to get your discount tickets. This is one of the newest musicals in Las Vegas and you are welcome if you are 17 and above. It takes place from 20:38 (Wed-Mon) at the D Hotel and is recommended for people who love the 1990s sitcom. The 90-minute show brings 6 of your favorite people on stage by making you remember your sweet moments with Phoebe, Joey, Chandler, Monica, Rachel, and Ross. You get a chance to see performers dancing on stage wearing stunning costumes. Everything they do triggers our memories of those six people and their challenging moments. Find your discount tickets here. This is the best musical if you love gangster stories and the history of Las Vegas. The 90-minute show takes place at 19:30 (Wed-Sat) at the Plaza Showroom. It portrays the glorious Sin City days and is based on a story about a real gangster known as Michael Franzese. Tom Brokaw called him The Prince of the Mafia. Singers, dancers, and actors demonstrate the problems experienced in the attempt to control the city. The choreography portrays the activities of thugs, hitmen, law authorities, and snitches. So, this is the right musical if you like classical music and the Sin City story.